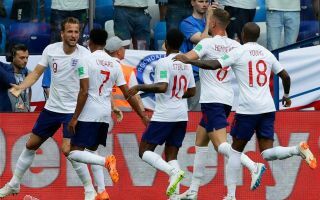 England will face Croatia in the World Cup semi-finals in Russia on Wednesday night, and their rivals have been dealt a major injury setback. Gareth Southgate’s men saw off Sweden in the last round while Croatia were forced to go to penalties for the second consecutive game as they eventually advanced past hosts Russia. However, it may well have come at a price as after limping off before the shoot-out, The Sun, via Marca, claim that right-back Sime Vrsaljko is set to miss the game against England with a knee injury. Given Croatia’s solidity through the middle throughout the side, the flanks may well be their weakness with Ivan Strinic looking slightly lightweight on the left while Vrsaljko is expected to now miss out. That will be particularly problematic for coach Zlatco Dalic, as he could now be forced into an unwanted reshuffle at the back which will be far from ideal at this stage of the tournament. In contrast, it will be a boost for England’s forwards who will look to take advantage of the potential disruption, while veteran Vedran Corluka is being tipped to step in which could also be a decisive factor given the pace in the England attack. With what’s at stake, Croatia will undoubtedly be disappointed to lose any key players for their semi-final encounter, with Vrsaljko playing a prominent role in their run to the last four. Time will tell if his absence comes back to haunt them, but Southgate and his players will undoubtedly be looking to take advantage any way possible and this setback could give them an edge as they look to book their spot in Sunday’s final.